Evangelist Paul Saungweme Speaks On Lasting leadership.  Home Evangelist Paul Saungweme Leadership League Of Legends Legends Biographies Legends Habits Evangelist Paul Saungweme Speaks On Lasting leadership. Leadership is a topic that has been extensively researched on, but probably less practiced. Since creation, the world has seen great leaders as well as despotic ones. There are leaders that have positively changed the world and left lasting impressions. Some great leaders have imprinted the earth with a legacy of determination for endless possibilities and hope for a brighter future. To some the starting of a leadership process has not been as difficult an undertaking as finishing the job with dignity. The world has also seen the rise of promising leaders who faltered at the conclusion of their careers or lives which is the subject of our inquiry today. Maximising the efforts of others shouldn’t be slavery. Many scholars concur that people are leaders because they choose to lead. The heart of leadership is as simple as that; It is a matter of choice and determination. Whether it’s internally motivated or divinely inspired, it’s personal choice to answer to the call. Leadership development is a process and not simply a programme. For this presentation, I will use the message by Evangelist Paul Saungweme, founder of Jesus For Africa Evangelistic Ministries which he presented to team members at Mhondoro Ngezi (Turf), Mashonaland West on August 19 2015. His Scripture reference was Joshua 24:15 which reads, “And if it seem evil unto you to serve the Lord, choose you this day whom ye will serve; whether the gods which your fathers served that were on the other side of the flood, or the gods of the Amorites, in whose land ye dwell: but as for me and my house, we will serve the Lord.” After succeeding Moses the prophet who delivered Israel out of Egypt, Joshua led Israel out of the wilderness into the promised land. He led God’s people in the conquest of Canaan. He did many and great exploits. As the years went by, the people drifted away from God and began to practice idolatry. At the close of his ministry, Joshua made the above remark. The evangelist further stressed, “As a leader, one must think in terms of helping our doing things for a bigger constituency, nation and the next generation rather than just for oneself. When we look at Joshua’s influence of leadership from this perspective, I think he failed because soon after his death the Bible tells us in Judges 17:6, “In those days there was no king in Israel, but every man did that which was right in his own eyes.” Joshua left a legacy of chaos and disorder. There was lawlessness in the land after his demise with everyone doing whatever she/he pleased. In concluding the prolific man of God quipped, “As an evangelistic ministry we must not just focus on ourselves, but on the people we are ministering to and even beyond our generation.” He questions, “What legacy are we leaving behind?” After such profound teaching, you and I should check ourselves to see what type of leaders are we. Have we started with global appeal and concluded our mission egoistically? It’s always advisable to keep the big picture in mind. Lasting leadership entails departure from nepotism, shunning betrayal of God’s trust in us to positively influence the entire human race. Start well and end well. You are going somewhere.